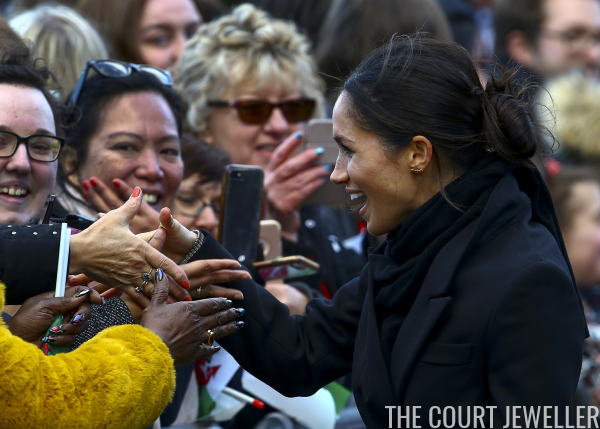 Prince Harry and Meghan Markle continued their pre-wedding national tour with a visit to Cardiff today, and Meghan tackled yet another jewelry trend. 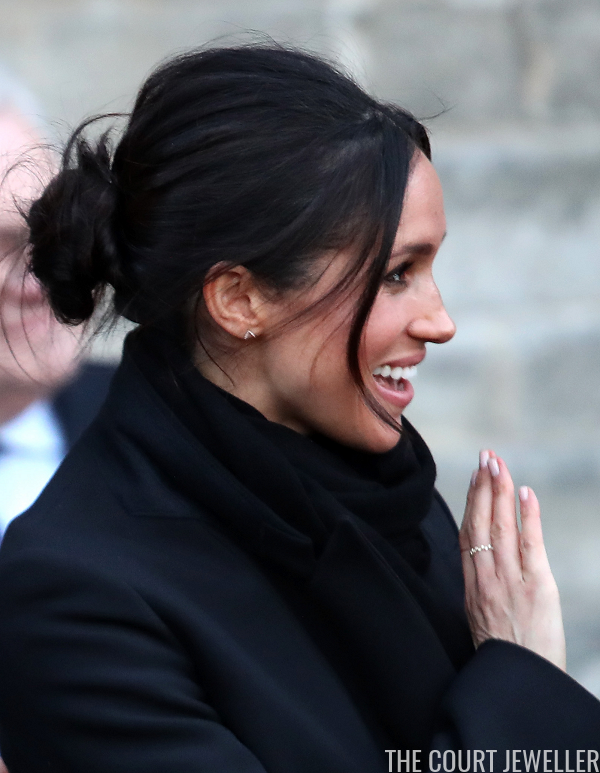 Meghan continued to wear her favorite minimalist gold jewelry, but this time she added two more trendy twists to her accessories. 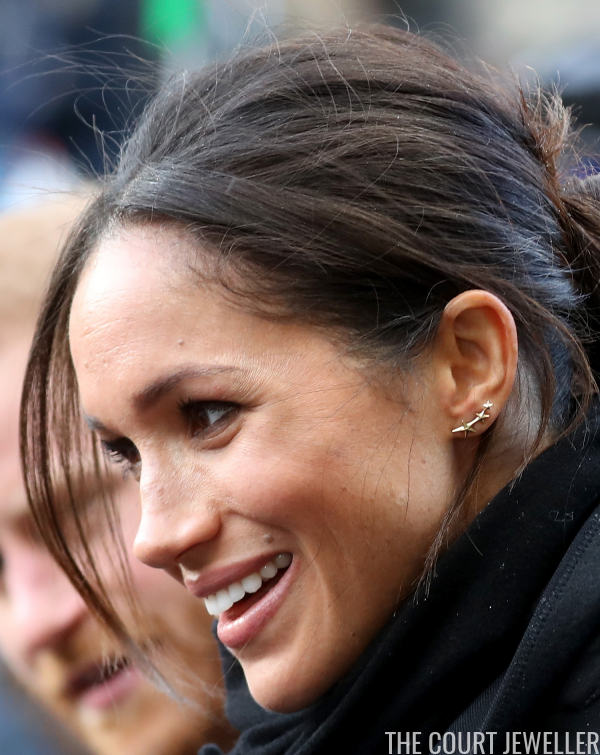 In her right ear, Meghan fastened one of her v-shaped Zofia Day gold and diamond stud earrings. 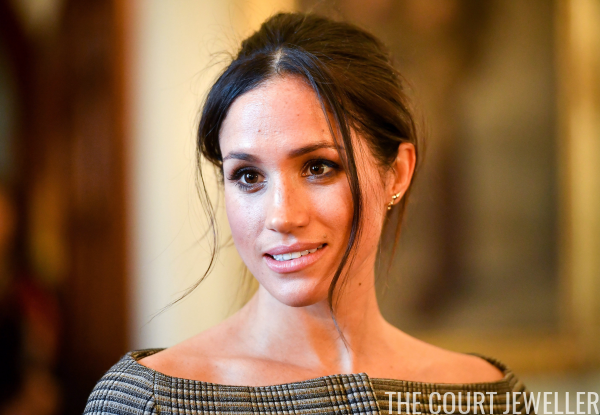 We previously saw her wear these earrings during her much-discussed appearance with Harry at the Invictus Games (and on the cover of Vanity Fair!). 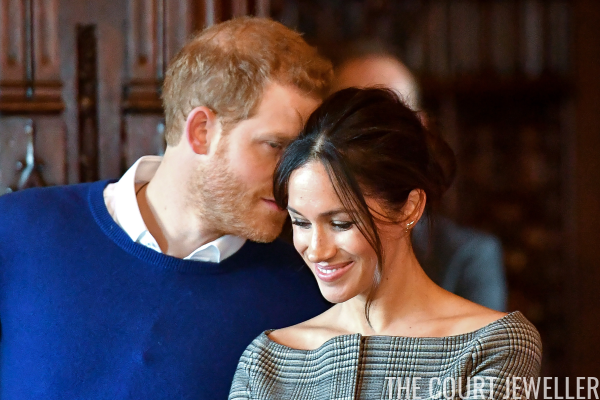 She also wore three more rings: another plain gold ring on her index finger, a more complicated band on her middle finger, and (of course!) 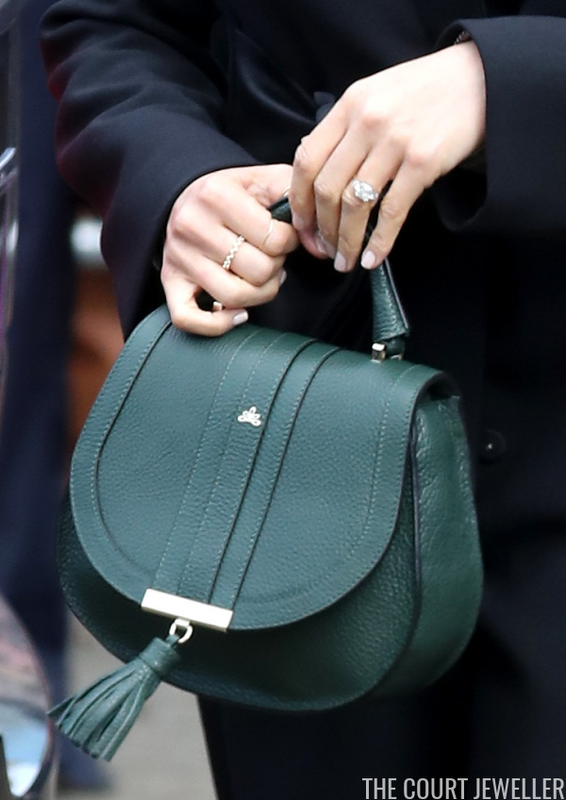 her diamond engagement ring on her left hand. 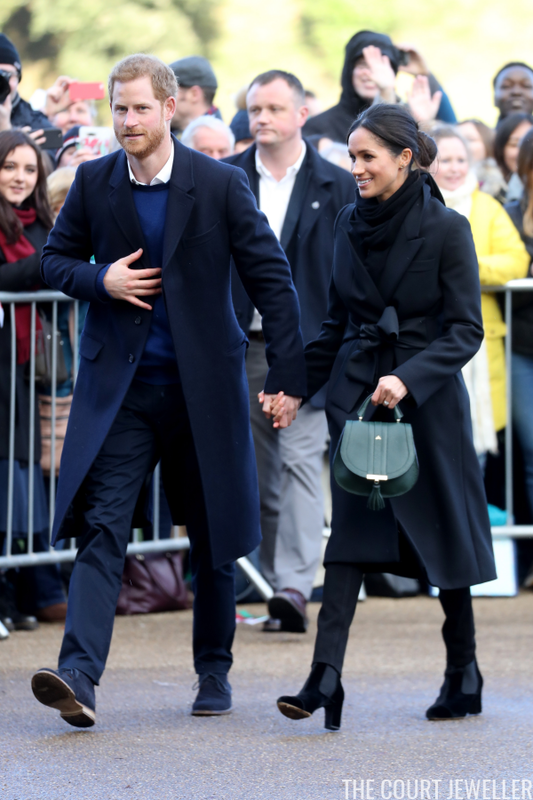 Here's a look at both Meghan and Harry's complete ensembles for the day.